There are almost 360 species of wild bees in the Netherlands, with half of all bee species being listed as endangered. ‘Nederland Zoemt Bijentelling’ is a national action to count the number of bees on the weekend 13 – 14 April 2019. Getting around the Netherlands is easy when using the train system. Get yourself an OV card, or e-ticket, check in and out and done. But here are some tips for getting the most out of the NS train services. Except for health insurance, which is mandatory for people living or working in the Netherlands, the type and the amount of insurance you want to purchase is mostly a personal decision. These following list of insurances are the typical types of insurances that many people carry in the Netherlands, including vehicle, personal liability, home-owners, house contents (personal possessions in the accommodation), legal and travel. Could you make it in the Netherlands as an entrepreneur? In 2015 the Dutch government brought in new regulations to help ambitious businesspeople from non-EU countries. A one-year ‘start-up’ residency permit has been specially designed to help people like you in the Netherlands. As part of the scheme, all entrepreneurs are required to have a mentor, or ‘facilitator’ on-board and for their start-up to offer something innovative in the Dutch market. When you first get your Residence Permit, always make a copy (paper or digital) and keep it safe. If you save the front and back image on your phone, you can easily find your V-number to put on a police report. The worst has come to pass, someone has stolen your beloved bicycle! What to do now? Well, besides getting the bus to work, there are a few more things to check. If you are planning to be in the country for some time, you may wish to buy a house in the Netherlands, as it can work out more beneficially financially than renting long-term. However, it is a good idea to make sure you are aware of all the pitfalls too before investing in a foreign country. FVB de Boer has written a 10-point guide to make sure that you have thought of everything before taking the plunge. The Netherlands is a pretty safe place to live, unless you are a bicycle. 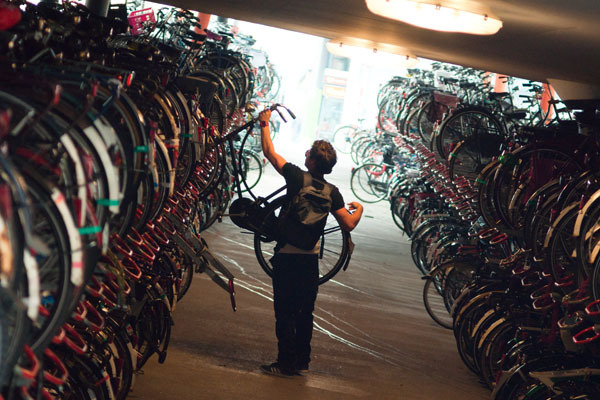 Bike theft has one of the highest crime rates in the Netherlands, but there are steps you can take to help prevent yourself being a victim of bike theft. International employees at the University of Groningen have been targeted by phone scammers. This has been an ongoing issue, and was highlighted earlier this month in an article by Traci White on The Northern Times. We are open to receive visitors Monday through Friday from 10:00 - 17:00 hrs. We look forward to welcoming you at our office in the International Welcome Center North! © 2009-2019 Connect International. Website Development by Toastie Studio.